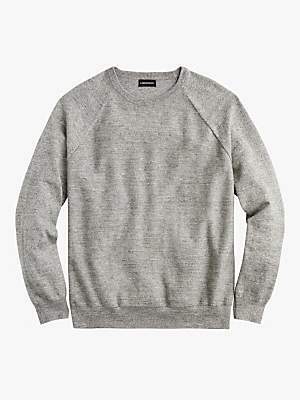 Freshen up your wardrobe for the season ahead with this J.Crew Uneven Jumper. Designed from pure cotton, this features a crew neck, ribbing details and a raglan sleeve. Pair with off-duty denim and leather chukka boots for a smart-casual finishing look.